Opa’s garden is based in Anchorage Alaska. The business was started to help local garden enthusiast get started on the right track. Gardening is fun and exciting to see your efforts grow into beautiful plants that bare fruit to either eat or provide an area you love to hang out in. However, gardening can be expensive if you buy the wrong plant or miss some important steps in planning or execution of the garden. Let Opa’s Garden experience guide you and avoid expensive mistakes that can cost both time and money. Your landscape should compliment and be a part of your living area. We will start with your objectives. Then with an survey of the property, we can begin layout based upon environmental conditions and your final goal. 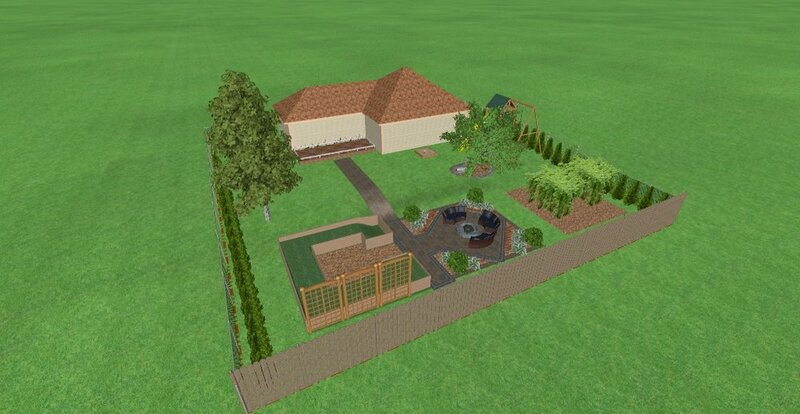 Our software can show you pictures and video of actually standing in your finished garden. A project schedule will be developed based upon your budget and timing. Steps of the project to include options for hard landscaping (walk-ways, seating, streams, playgrounds, cooking etc), plant selection, soil preparation, irrigation. Let us help you save money and get the garden of your dreams as soon as possible. Peonies are loved by everyone. The peony industry for selling cut flowers is taking off in Alaska, but at Opa’s Garden we will help you establish these beautiful flowers at home. Peony are long lived and fairly low maintenance. Peonies can live 75 to 100 years, and mature plants up to 50 or 100 stems. However, the plant develops over a long period of time. Mistakes in planting location, depth, or soil and water can keep the plant from every blooming. Let Opa’s garden help you avoid mistakes that can be expensive or take years to correct for having successful peonies in your garden. During the peony bloom mid-July to early August, peony stems are available for purchase for local weddings or events. Peony roots are available to for your garden.